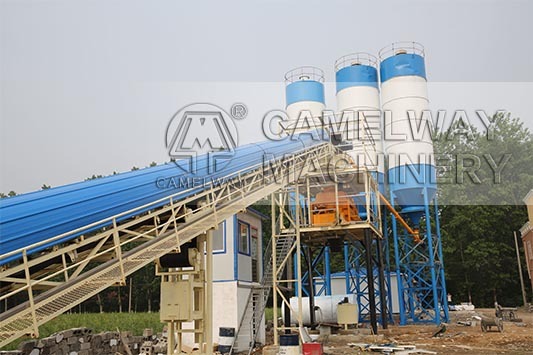 In concrete mixing station, the automatic control system as the primary soft handling is very important. What is the operating principle of the automatic control system? Automatic control system is divided into two types: with a computer and without a computer. The kind of automatic control system with computer needs customers to set ratio by themselves in accordance with a computer program. The type of system without computer needs to go through a computer button to set up, then launch button operation after the end of the initial settings. Concrete mixing station automatic control system has the following features: Automatic zero stalking, digital school scales; can store ten kinds of recipes; you can set the number of ingredients; not the same as the material can be measured separately; hopper having a base waiting function; save time and improve efficiency ; modular structure is simple to operate, reliable, and easy to repair!